Scott Perkins, DRT SF organizer and Presidio Neighborhood Emergency Response Team Coordinator, demistifies the cutting edge Rock the Bike Roll Up generator console. 10 USB ports, and color-changing LED power level indicators. Generate in place or on the go. 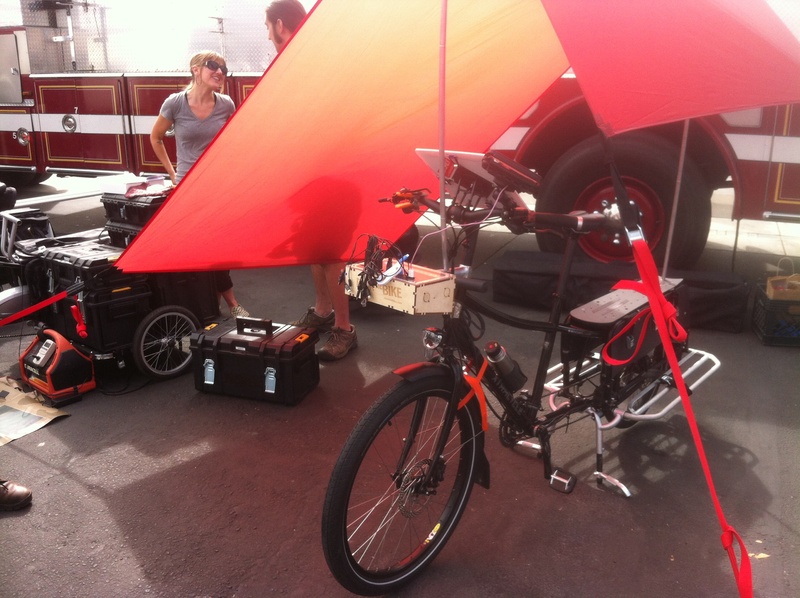 Kelley Stangl, DRT SF Graphic Designer and Robert Alverson, Xtracycle’s Head Mechanic, chat it up behind the Xtracycle DRB (Disaster Response Bike) prototype. San Francisco’s famous Exploritorium, a hands-on science museum that articulately explains how the world works through interactive exhibits, hosted a 25th anniversary Loma Prieta Earthquake Expo today. 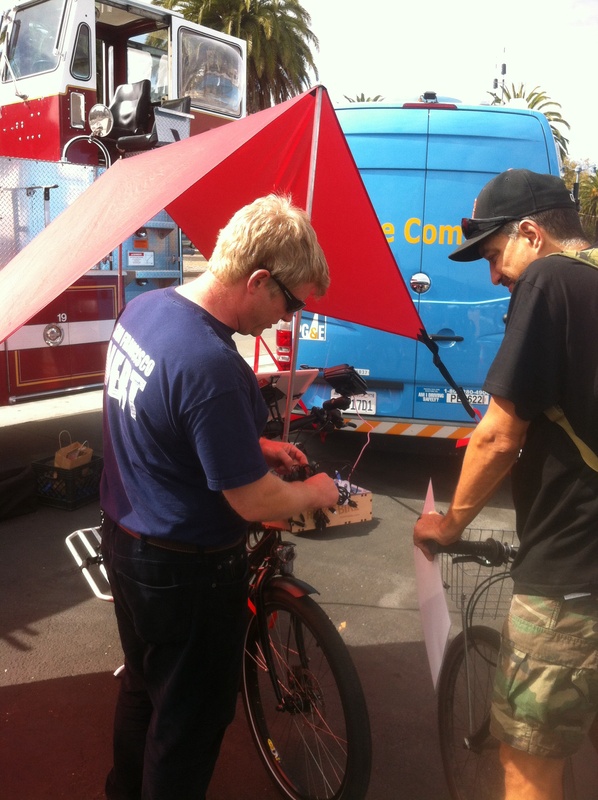 Disaster Relief Trials SF was invited, so we happily unveiled the Xtracycle Disaster Response Bike prototype. It carries relief supplies with an industrialized cam buckle-adorned cargo hold and then generates electricity in place, under an integrated silnylon shelter – to charge all those phones, flashlights, and radios, quickly. We made fans and friends.